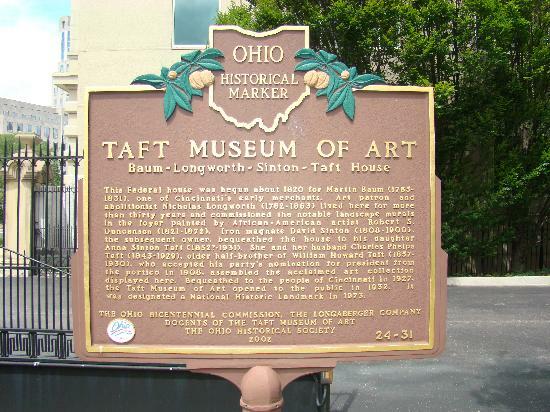 Nestled in downtown Cincinnati is the Taft Museum, a local arts gem. Built in 1920, the Taft is not only a national historical landmark, but home to an art collection that includes the works of artists such as Goya, Ingres and Rembrandt. What you may not realize though, is that in addition to it’s collection of art, the Taft also offers a wonderful selection of free and low cost children’s arts programs! Tell your family’s story in a coat of arms that you design and apply to a special fabric! Artist Elaine Lynch will help you discover what goes on inside an artist’s head and how you can transform creative impulses into works of art. Architecture Good Enough to Eat! Learn basic architectural terms and identify different materials and elements on nearby buildings. Use pretzels, graham crackers, licorice, and other goodies to construct a delectable structure. Sunday, July 18 – Kid Detectives (1-4 p.m.) Explore art to find clues about the lives of kids long ago, hear stories about kids from the past, make an old-fashioned craft, and play summertime games your great-grandparents played when they were children. 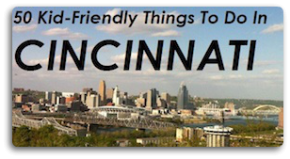 Learn more about detective work from a Youth Services Officer of the Cincinnati Police department. Activities include self-guided tours, face-painting, art-making, storytelling, and game. Stop in when you have time and stay as long as you like. Sunday, August 15 – The Dog Days of Summer (1—4 p.m.) The Taft Museum of Art becomes the Taft Museum of Bark! Find dogs in art, hear a story about dogs in a museum, make and decorate a pop-up puppy, and meet some real canines from the Queen City Dog Training Club. Join us for story time with Marsie Newbold, of Marsie’s Menagerie, and a visit from Rufus the Reading Dog from the Public Library of Cincinnati and Hamilton County. Did you know that there are cats, dogs, sheep, cows, and goats inside the Museum? See how many you can find! This tour, for ages 3 to 5, offers a fun way for even the youngest art lovers to learn about the collections at the Taft Museum of Art. Families will enjoy strolling through the gallery, searching for feathered friends along the way! So as you can see, there is a lot going on over at the Taft when it comes to children’s programing. We encourage you to visit their website to learn more about the Taft and all it offers. I keep saying I need to visit the Taft (also heard their cafe is yummy) and now I really need to get there. Of course, you know how I love the free days too. Great post Shannan!